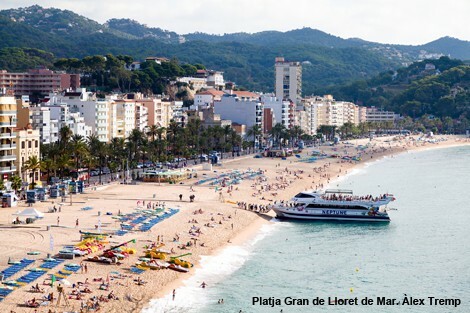 Please see the main page on Lloret de Mar in the Costa Brava section. 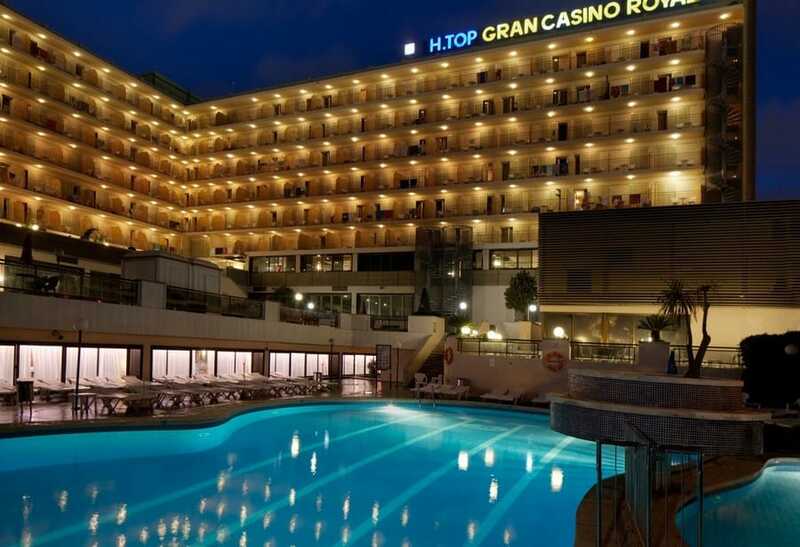 The 3 – Star HTOP Gran Casino Royal is situated just under 5 minutes walking from the beach. Our Casino Royal attractive hotel in Costa Brava enjoys a central location in the heart of the popular holiday resort of Lloret de Mar. The famous nightlife, restaurants, bars, shops and entertainment options can be found in the immediate surroundings. 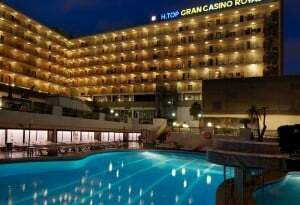 Offering different accommodation options the 411-room HTOP Gran Casino Hotel organize daily activities and evening entertainment. Guests of our hotel casino in Lloret de Mar can use many services as swimming pool, garden, sun terrace with sun beds and umbrellas, 24 hour Front Desk, housekeeping, currency exchange, tour desk, fax & copy service, car hire, heating, air-conditioning (in restaurant, bar and reception area), playground for children, lift, safe boxes (charge), 24 hour medical service available (charge), souvenirs/gift shop, Wifi and internet corner (both with charge).